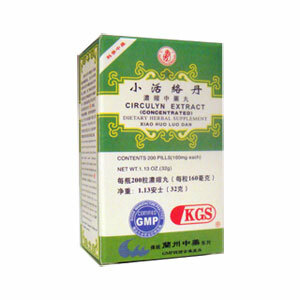 Invigorates and clear the channels, activates qi and blood, benefits kidney yang to disperse cold. Invigorates the blood, unblock the collaterals, dispel dampness, transform phlegm. Xiao Huo Luo Dan – Circulyn Extract is one of the most classical formula of TCM for relieving lower back and joints pain due to the wind-dampness and obstructed channels. Rheumatic pain, numbness, cold joints, and chronic lower back pain.